On the 10th (Mon), test your team's savvy at popular escape rooms, take in the dramatic scenery at Water Wall, and then meet the residents at Houston Zoo. To see maps, where to stay, and more tourist information, you can read our Houston visit planning site . Garden City to Houston is an approximately 10.5-hour flight. You can also drive. Expect somewhat warmer evenings in Houston when traveling from Garden City in June, with lows around 75°F. Finish up your sightseeing early on the 10th (Mon) so you can travel to Grand Canyon National Park. Get outdoors at Rim Trail and South Kaibab Trail. On the 12th (Wed), hike the day away at Bright Angel Trail. There's still lots to do: take in breathtaking views at Grand Canyon South Rim and stop by Canyon Village Marketplace. Discover how to plan a Grand Canyon National Park trip in just a few steps with Inspirock's itinerary builder. Do a combination of flight and bus from Houston to Grand Canyon National Park in 10 hours. Alternatively, you can do a combination of flight, shuttle, and bus; or drive. Due to the time zone difference, you'll gain 1 hour traveling from Houston to Grand Canyon National Park. Traveling from Houston in June, you will find days in Grand Canyon National Park are a bit cooler (85°F), and nights are colder (42°F). Cap off your sightseeing on the 13th (Thu) early enough to travel to San Diego. Shop till you drop at Gaslamp Quarter and Spanish Village Art Center. 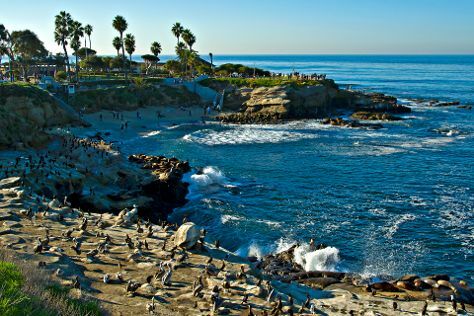 Step out of the city life by going to La Jolla Cove and San Diego Zoo. And it doesn't end there: hike along Torrey Pines State Natural Reserve, see the interesting displays at USS Midway Museum, take a tour of Maritime Museum of San Diego, and appreciate the history behind Cabrillo National Monument. To see ratings, other places to visit, traveler tips, and tourist information, refer to the San Diego day trip planning site . Do a combination of bus and flight from Grand Canyon National Park to San Diego in 8 hours. Alternatively, you can drive; or do a combination of shuttle and flight. You'll gain 1 hour traveling from Grand Canyon National Park to San Diego due to the time zone difference. When traveling from Grand Canyon National Park in June, plan for a bit cooler days in San Diego, with highs around 73°F, while nights are much hotter with lows around 64°F. 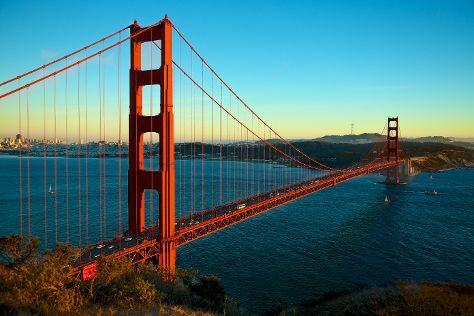 Wrap up your sightseeing by early afternoon on the 17th (Mon) to allow enough time to travel to San Francisco. For reviews, traveler tips, and tourist information, refer to the San Francisco trip itinerary maker app . You can fly from San Diego to San Francisco in 3.5 hours. Other options are to do a combination of flight and train; or drive. Traveling from San Diego in June, you can expect nighttime temperatures to be a bit cooler in San Francisco, with lows of 55°F. On the 18th (Tue), you'll have the morning to explore before heading off to Salt Lake City. Head to Park City Main Street Historic District and Atticus Coffee Books & Teahousefor some retail therapy. Escape the urban bustle at Big Cottonwood Canyon and Antelope Island State Park. Explore the numerous day-trip ideas around Salt Lake City: Park City (Deer Valley Resort & Park City Mountain Resort). To find more things to do, reviews, maps, and more tourist information, read our Salt Lake City day trip planner. Getting from San Francisco to Salt Lake City by flight takes about 4 hours. Other options: do a combination of train and flight; or drive. The time zone difference moving from Pacific Standard Time (PST) to Mountain Standard Time (MST) is 1 hour. In June, Salt Lake City is a bit warmer than San Francisco - with highs of 89°F and lows of 62°F. On the 21st (Fri), wrap the sightseeing up by early afternoon so you can travel to Denver. Start off your visit on the 22nd (Sat): meet the residents at Denver Zoo, then look for gifts at Tattered Cover Bookstore, then wander the streets of 16th Street Mall, and finally view the masterpieces at Denver Botanic Gardens. To find maps, where to stay, traveler tips, and more tourist information, refer to the Denver trip builder tool . Traveling by flight from Salt Lake City to Denver takes 4 hours. Alternatively, you can drive; or take a bus. Expect slightly colder temperatures when traveling from Salt Lake City in June; daily highs in Denver reach 83°F and lows reach 55°F. Cap off your sightseeing on the 22nd (Sat) early enough to travel back home.